But is it not the long-promised 'Stampede Of The Disco Elephants'? Ladies and gentlemen, throw your hands up. Chocolate Starfish and the Hotdog Flavored Water are back at it. 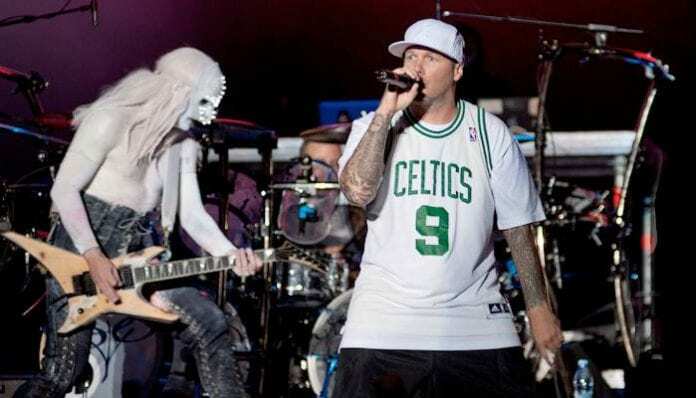 And if you don’t know what that means, stop reading right now, because Limp Bizkit are actually working on a new album. But is it not the seven-years-in-the-making Stampede Of The Disco Elephants? Maybe, maybe not. 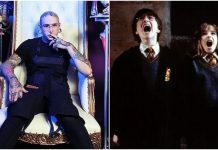 While once-notorious frontman Fred Durst and the guitar-shredding spectacle known as Wes Borland have been inching toward a sixth album since 2011’s Gold Cobra, the latter musician reports that Bizkit are only just now prepping for a new full-length in earnest, as noted by Loudwire. The fires mentioned by the guitarist were the result of this year’s destructive wildfire season in California. Durst’s SoCal home went up in flames earlier this week, and Borland lost several pieces of musical equipment in the disaster. That’s not going to stop the classic nü-metal team from laying down the grooves on some new tunes, presumably flanked by the longtime Limp Bizkit rhythm section of bassist Sam Rivers and drummer John Otto (plus a returning DJ Lethal), though. And while Borland’s getting lost in mosh pits and Durst is ducking attempted drop kicks from Insane Clown Posse members, maybe Bring Me The Horizon can find some time to assist in the writing of the impending Bizkit release. But what about those elephants? If you go to Limp Bizkit’s website right now and scroll down, it still says the “new album” Stampede Of The Disco Elephants is “due in 2015” (lol). Is the stampede still coming, or has the disco been shelved? ‘Cause if you don’t care, then we don’t care.